I want to triangulate a point-set like the one below. The triangles should be nicely shaped (like in Delaunay triangulations) ie not to skinny. I would like to enforce the condition that each black segments should be the edge of some triangle in the triangulation. 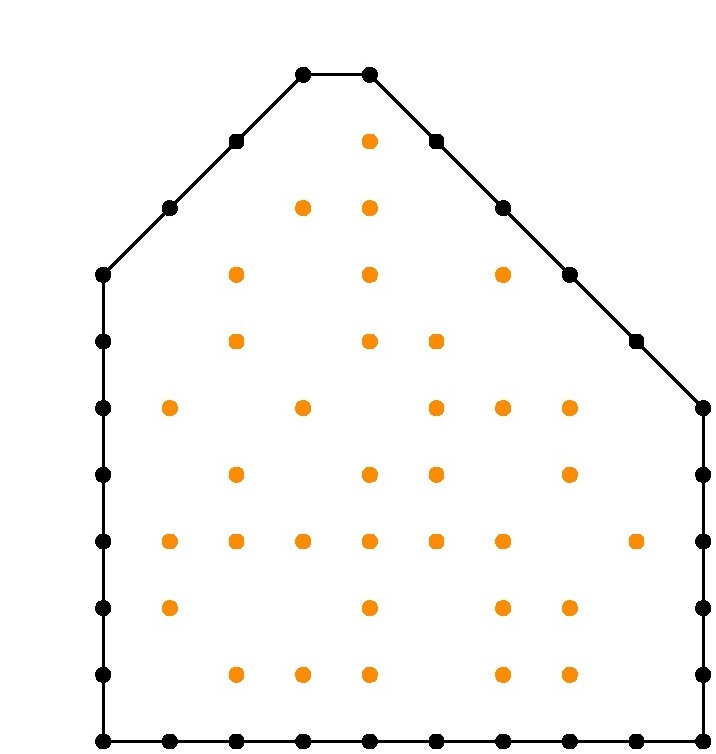 The other edges of the triangulation must lie within the polygonal region indicated by black segments joining orange points to orange points or orange points to the black points. CGAL can probably do this but it has been a nightmare to install CGAL on Windows 7. I am looking for any freely available, robust and easily installable MATLAB, Python, C++ (Visual Studio 2012 or Cygwin) solution to this problem on the Windows 7 platform. 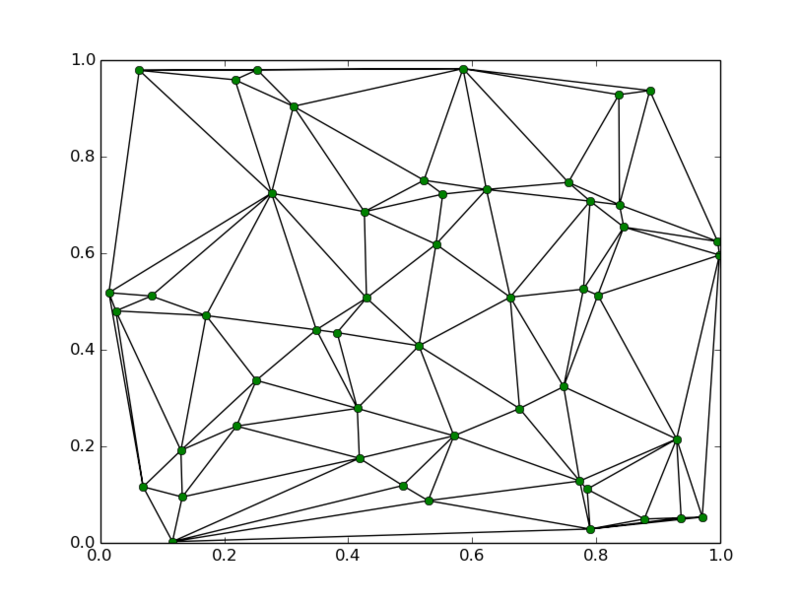 Scipy already comes with Delaunay triangulation via Qhull, and is easy to install on Windows. Here's an example. As mentioned by Tyler Olsen in a comment above, "[a] normal Delaunay triangulation will work for any set of points where your enforced edges form the convex hull of the point set (as they do in this case)". Not the answer you're looking for? Browse other questions tagged matlab python c++ delaunay-triangulation or ask your own question. Parallel Scientific Computation Software Development Language?